To make sure Queenslanders have the right skills to find and keep a fulfilling job, we need to make sure they have access to the right training. The Queensland Government is investing $100 million over two years to support jobseekers in regional Queensland through the Back to Work Regional Employment Package. Back to Work gives regional businesses the confidence to employ jobseekers through Employer Support Payments of up to $10,000. The Certificate 3 Guarantee Boost will provide eligible jobseekers with funding for the training needed to secure local jobs. Training opportunities may include “second chance” training for jobseekers who already have a Certificate III qualification or for workers where a change in employment requires new or updated skills. The Queensland Government is planning for the workforce of tomorrow, providing $40 million over four years to establish Jobs Queensland. Jobs Queensland will be an independent statutory authority providing advice to the Government on skills demand and long-term workforce planning in Queensland. As part of its role, Jobs Queensland will undertake broad consultation with business, union and community representatives on long-term workforce issues. The 2015-16 Annual VET Investment Plan details the Queensland Government’s planned $754.6 million investment in vocational education and training (VET) over the coming year. The VET Investment plan supports access to quality training programs that deliver effective skills to meet employment and business demands. Find out more about the 2015-16 Annual VET Investment Plan. The Queensland Government has reintroduced the highly successful Skilling Queenslanders for Work initiative, with an investment of $240 million over four years to support up to 32,000 Queenslanders into work. Skilling Queenslanders for Work provides training to people who are under-utilised or under-employed in the labour market, as well as building the skills of young people, Aboriginal and Torres Strait Islander people, people with a disability, mature-age job seekers and people from culturally and linguistically diverse backgrounds. Targeted programs focused on skills development will be delivered by community-based organisations, local councils and school Parents and Citizens’ and Parents and Friends’ associations. Local community ownership of projects is a cornerstone of the initiative’s past success and will help to ensure future projects meet local skills needs and deliver positive skills development and employment outcomes for participants. Skilling Queenslanders for Work is supported by a state-wide regional network, working closely and forming partnerships with community organisations and local employers to determine local skills and entry-level industry and labour needs. 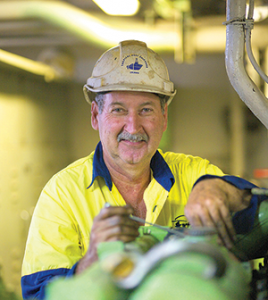 Read more about the programs that make up the Skilling Queenslanders for Work initaitive. Employers who hire apprentices and trainees will receive a payroll tax rebate of 25 per cent on their wages in addition to their wages being exempt from payroll tax up to 30 June 2018. The rebate will be used as an offset against payroll tax payable on the wages of other employees, and will enable Queensland to continue developing a highly skilled workforce into the future. The Government is providing this incentive at an estimated cost of $45 million over the next three years. Find out more about the payroll tax rebate for apprentices and trainees. The government will invest $34 million over the next three years to restore TAFE Queensland to its rightful place as the premier public provider of VET in Queensland. Funding will be directed at helping TAFE Queensland deliver foundation courses, increase the number of qualifications available through VET in schools and hire additional teaching and support staff. The government will also ensure Queensland regains its reputation as a quality training provider, by establishing an independent Training Ombudsman to investigate complaints made by students and apprentices.